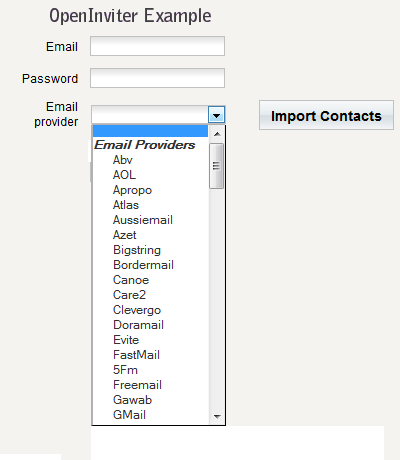 OpenInviter is free & let you import contacts from yahoo, gmail, rediff, MSN, AOL etc by entering the username & password. It take 5-10 min to integrate in your websites. When we click on after filling detail, it show all the contacts store in your mail box. It will just return data in form of array of object( field's return Email, Name), depend of you how you display.